The difficulty of putting on a one-woman show is truly underappreciated. Adding in the portrayal of a recognized and widely-adored figure adds another level of difficulty. 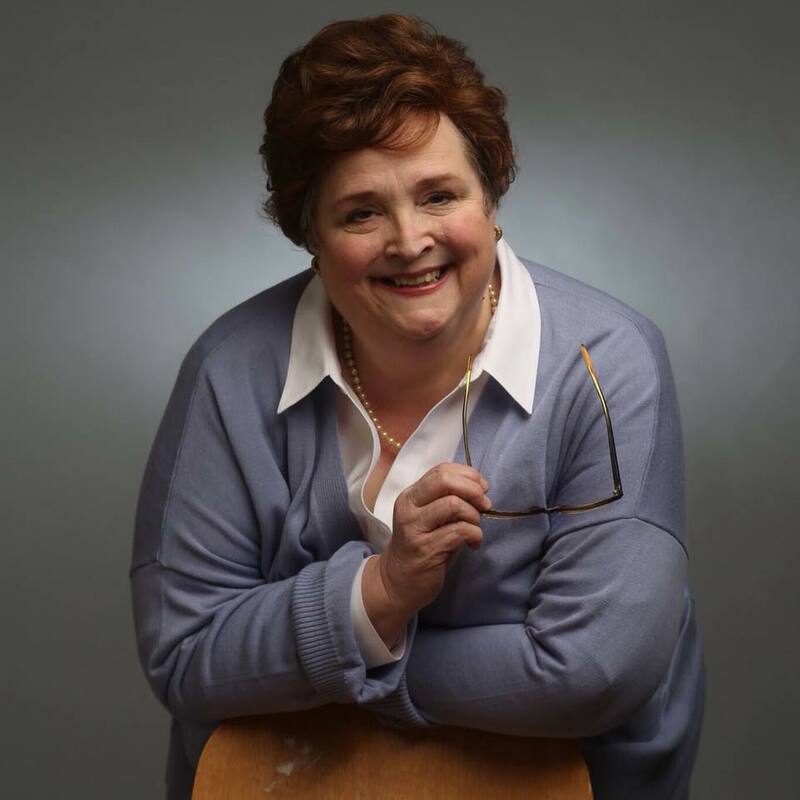 But Catherine Shaffner does a truly admirable and memorable job at bringing Erma Bombeck back to life on the stage of Hanover Tavern in Virginia Rep’s production Erma Bombeck: At Wit’s End, which opened this past weekend. Many would recognize the household name of Erma Bombeck. A revolutionary in her time, Bombeck’s middle-brow humor was translated through her weekly newspaper columns on suburban life nationwide. Her impact on women, specifically housewives, of the 1960s, struck a chord with many due to her humorous yet relatable tales of motherhood, wifely duties, and suburbia nightmares. Her relatability was highlighted through her portrayal of being a housewife as a role being rife with headaches, yet equally full of memorable, heart-warming opportunities. In addition to her smashing success as a humor columnist and author, her activism in the 1960s, the height of the second wave feminist movement, is often forgotten, especially her role in the promotion of the Equal Rights Amendment. But perhaps her most significant contribution to the world was how she changed the way women were seen as comediennes. On the heels of Lucille Ball and before the time of Mary Tyler Moore, Bombeck evolved female humor from slapstick, dopey know-nothings to rib-aching, real humor. The beauty of this show can be found by Shaffner’s portrayal of the much-loved columnist. Her delivery of punchlines, tear-jerking memories, and reflective narratives could bring any audience back to the 1960s. Shaffner takes the audience on a journey through the 1960s, the peak of Bombeck’s career and lifetime, speaking in the past tense all the while acting out in the present and directly addressing the audience (even telling her physically-absent husband that she has “company” over). The most striking feature about Shaffner’s performance is her ability to move through the space as a lone actor while conjuring images and sounds and shapes of the people- her children and husband and friends- as if they were really there (also with the help of sound effects by Derek Dumais). It is through this astonishing strength as an actor that Shaffner is able to exemplify her humor. The structure of the play itself goes through her career chronologically, while making commentary on the cultural and societal factors that shaped the lives of housewives across the nation. Shaffner takes a moment to comment on the popular magazines of the time, such as Good Housekeeping, that tries to sell the role of housewife as a fun and carefree lifestyle. But Bombeck’s witty analysis of the grinning model on the cover of the magazine says otherwise. It is evident that Bombeck truly does love her life, her kids, her family; but even Shaffner portrayed the exhaustion that was behind Bombeck’s eyes, probably for every housewife, in fact. It is worth noting, however, that Shaffner is carrying this whole show on her shoulders. Due to inclement weather, the opening performance was canceled, so the attendance on the evening of the review was her first opportunity in front of a full, live audience. There were a couple of moments where Shaffner silently scrambled for her next line, causing her to trip up on her words. But, it is important to keep in mind that it was her first full performance in front of an audience, and it is extraordinarily difficult to remember what is basically an hour-long monologue without time offstage. Although Shaffner is alone onstage, her performance is supplemented by the timely patterns and shapes of the 1960s and early-1970s set design by Terrie Powers. The blues and yellows of BJ Wilkinson’s lighting design gave the warmth but momentary melancholy that was a part of Bombeck’s life. The direction by John Moon wrapped it all together; the power and skill of Shaffner with the artistic direction by Moon tied this smart performance together into a beautiful package. It is worth the trip out to Hanover to see this powerhouse performance. 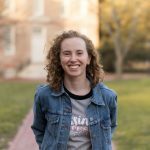 Shaffner is a talent that truly must be recognized and applauded, especially under the circumstances of a one-woman show. Performances of Erma Bombeck: At Wit’s End have already been extended through April 15, but tickets are going quickly. Ticket information can be found online here.